BIDDING to supply post-commencement funding (PCF) to Koornfontein coal mine in South Africa’s Mpumalanga province has been re-opened after the preferred offeree, Project Hope, failed to deliver R200m in finance support. Citing a letter authored by OBO Business Rescue Practitioners, dated March 13, the Southern African Coal Report, published by IHS Markit, said the aim of the PCF was to pay two months salaries to Koornfontein’s employees. It now threw open the bidding in order to “… salvage the situation and get to a point where the mine can be sold post haste so as to ensure that outstanding creditors are paid without any further delay”. Project Halo was one of three interested bidders for assets in the Optimum Coal Mines stable – which also includes Optimum Coal Mine and coal export entitlement through Richards Bay Coal Terminal. The assets are now being sold on a piecemeal basis rather than as a single entity, as previously required. The two other bidders consist of the state-owned African Exploration & Mining Finance Company (AEMFC) and Lurco Group in a consortium, and Phakamisa, a consortium which has mining figure Bernard Swanepoel as its lead player. Lurco told the Southern African Coal Report it was interested in stepping into Project Halo’s shoes. “The AEMFC-led consortium is interested in bidding for this asset and has engaged the BRPs to this end”. OBO expressed its dismay with the progress of the Project Halo offer in the letter. It said: “The only condition precedent that Project Halo had to fulfil, and that it entered into and signed an agreement in respect of, was to show (as they deceitfully tried to convince our attorneys that they had at their disposal) that it had R200m in PCF available to (among others) pay two months’ salaries, along with concomitant critical expenses to pay out”. Paul Buckley, a director of Project Halo, said on February 1 at the IHS Markit Southern African Coal Conference that: “As we stand today, we are their preferred bidder”. He was then referring to Optimum Coal for which the AEMFC/Lurco consortium was subsequently chosen to supply the PCF totalling R1bn. 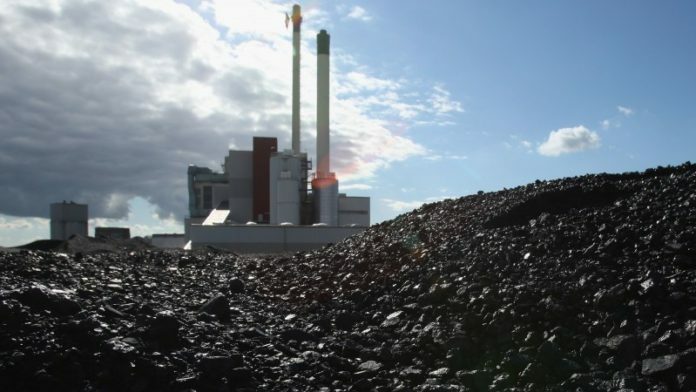 Lurco told the Southern African Coal Report in its March 5 edition that it hoped to return Optimum Coal to thermal coal production of 1.5 million tonnes per month. It added, however, “… tough decisions would have to be made” regarding staffing at the Mpumalanga province mine.